Don Mathews has really done it all. He was a standout high school football and basketball player at Spalding. A four-year varsity player at Bradley. A successful basketball coach at five high schools, both large and small. And an author of several books on the teaching of English. As a prep player, where he reigned as one of the first big scorers using the jump shot, Mathews played a major role in taking the Irish to the Sweet Sixteen at Champaign in 1950. He had led the conference in scoring, was a second team all-stater, first team all-conference and a few months before that a first team all-conference end. 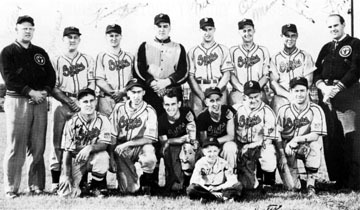 At Bradley he was a member of the 1954 NCAA team that lost to LaSalle in the title game. His coaching career wound from Woodruff (1959-1968) to Bergan (1968-1971) to Spring Valley Hall (1971-1972) to Brimfield (1974-1979) to Peoria Heights (1984-1987). Overall he was 278-243 with his greatest success coming at Brimfield where he went 101-36 and took a team led by son Eddie to the Elite Eight of the state tournament. 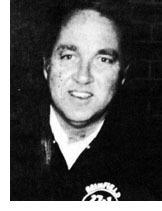 He was named the Illinois Basketball Coaches Association District 10 Coach of the Year in 1977, 1978 and 1979 and was inducted into the IBCA Hall of Fame in 1993.